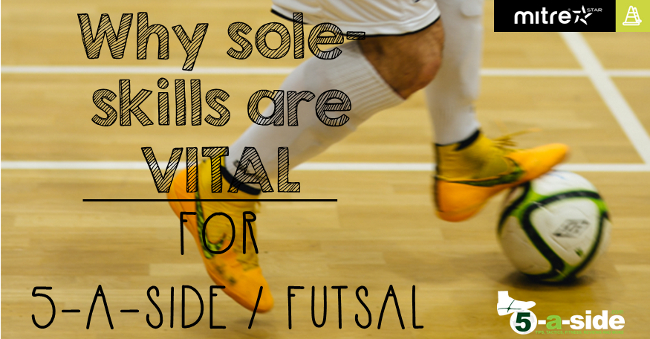 In the 5-a-side or Futsal game you have got to get comfortable with frequently using the sole of your foot if you want to be able to mix it with the better players. The use of the sole is one of the most important differences between playing the 11-a-side game and playing small sided football. Good 5-a-side and Futsal players know the importance of using the sole of the foot – it’s such a key technique for the small-sided game that we’ve even incorporated it into our logo. 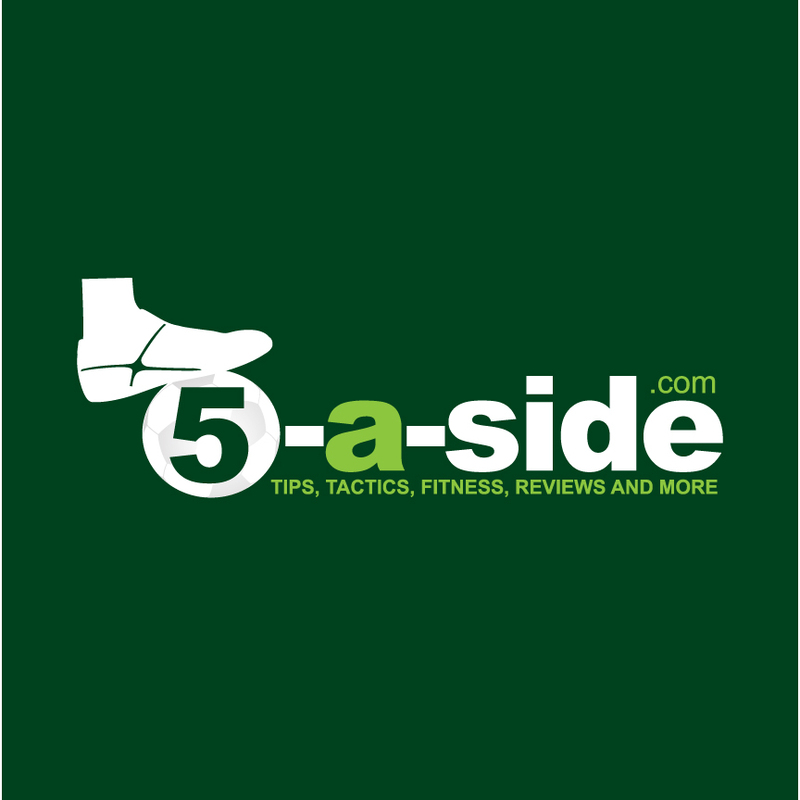 The use of the sole in the 5-a-side game is so crucial that it’s even part of the image in our logo. In this article we’re going to take a look at this, one of the most fundamental 5-a-side skills, in more detail. Many of us started playing football as kids on grass surfaces and when we tried to control the ball with the sole of our foot, this was soon coached out of us. The uneven sole of football boots (especially longer studded firm ground boots) can make it difficult to get a consistent grip on the ball. 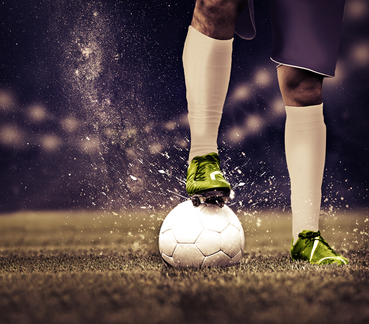 Both of these factors can mean that controlling the football in 11-a-side with the sole of your foot is as challenging as trying to hold a slippery fish using just your fingertips. But the 5-a-side game is different and the use of the sole is vital. The sole can be used for trapping, receiving, rolling and passing the ball in 5-a-side, and it doesn’t have the problems of the 11-a-side game. You’re wearing flat soled boots, plus the pitch will be even and consistent all over if it is wooden floor, or artificial turf. If you’re playing outdoors, however, the one thing you do still need to watch out for is the rain. 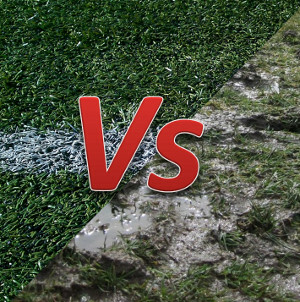 That little bit of extra moisture on the ground will make contact between your boot and the ball a bit more unpredictable. It’s often worth getting acclimatized to the conditions before a game to deal with this. You can do that easily by making sure that your warm up contains some simple receiving and turning skills with the sole of the foot. The sole provides a larger surface area than any other part of the foot, which allows you to move the ball around whilst still keeping contact with it. However, the real beauty of the sole is that it is a multi-directional surface and allows you endless possibilities when you’re in contact with the ball. What that means is that you can move the ball forwards, backwards or to either side quickly in order to get you out of any tight spots. It’s what makes the really good players look so tricky. You only have to take a look at good players to realize how heavily they rely on using the sole of the foot. Watch the great Ricardinho play futsal and every other touch seems to be with the sole of the foot. Or how about checking out just how essential it is to use the sole when playing pivot, as we saw in a previous article. And the fact you can roll it in any direction opens up so many different moves: spin, fake, sidestep, roll. You can pretty much use it for anything; improvising to deal with the attention of your opponent. Using the sole gives you control over the ball to move it in any direction at any time. One way to develop your use of the sole is simply just to focus on using it in games. Experiment, try things and see what works for you. Be an artist with the ball and don’t feel restricted just by what you’ve seen others do and what you think is possible. If you feel that you’re a bit of a sole novice, a good way to program this new way of playing into your mind and body is by performing some basic skill moves by repetition. The point of this is to store the moves in your muscle memory so that they become natural to the point where you will just subconsciously throw them out in a game when the situation requires it. We’ve come up with a legendary 15 minute work-out that will help you develop your sole skills and take your game to another level. Click the link below to see it. This article has been brought to you in association with Mitre Star, an online hub designed to improve your 5-a-side game.